Log on to your CCV shop environment and search for SendCloud in the CCV shop app store. Click on the SendCloud logo and install to install our SendCloud plug-in. Accept the pop-up conditions you will see in the top right screen in your browser. 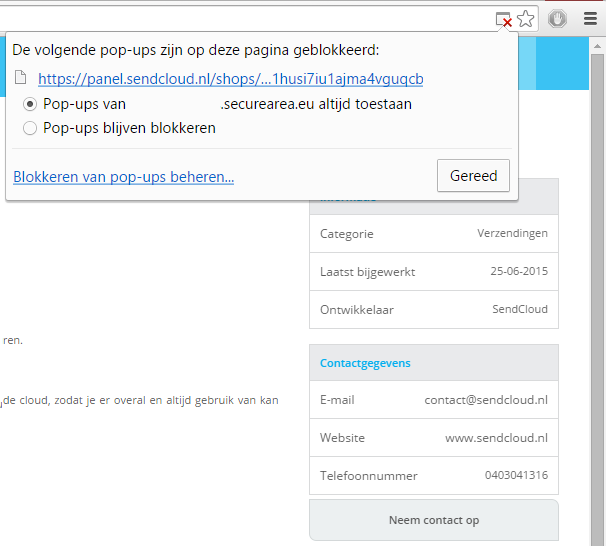 Accept pop-ups from .securearea.eu. Log in to your SendCloud account. When you are logged in you will see in your 'incoming orders' that your CCV shop environment is connected to the SendCloud panel.